You can’t beat beets! After years of being relegated to the recesses of the salad bar buffet next to the shredded cheese and buttered croutons, beets are enjoying their much-deserved place at the center stage of a healthy diet. They’re not only chock-full of essential everyday nutrients like B vitamins, iron, manganese, copper, magnesium, and potassium, these ruby gems also are a goldmine of health-boosting nutrients that you may not get anywhere else. Check out these great and surprising things that happen to your body when you eat beets. Beets are rich in nitrates, which the body converts to nitric oxide, a compound that relaxes and dilates blood vessels, turning them into superhighways for your nutrient- and oxygen-rich blood. That means better circulation and possibly lower blood pressure. A very small study from 2012 found that 13 men who drank just one glass of beet juice temporarily lowered their systolic blood pressure by an average of 4 to 5 points. (Note: the study was funded by a beet juice manufacturer.) Another study published in Hypertension in 2008 (which didn’t receive funding from beet-juice makers) found that those who drank the red root juice had a 10 mm Hg drop in blood pressure and less blood clotting three hours later, compared to those who drank water. Beets also have a potentially positive impact on your blood pressure. They are rich in a plant alkaloid called betaine, as well as the B-vitamin folate, which together delivers a one-two punch for lowering blood levels of homocysteine, which in high concentrations increases your risk for artery damage and heart disease. When elite athletes pee in a cup for a drug test, the color might be crimson. Why? Because lots of athletes eat beets, and beets contain pigments that turn urine pink. Athletes also know that research has suggested that nitrates boost endurance performance. In one study, cyclists who drank beet juice could pedal 15% longer in a time trial to exhaustion. It takes approximately three to five beets (depending on their size, which varies widely) to get a performance boost, says study author Andy Jones, Ph.D., dean of research in the College of Life and Environmental Sciences, University of Exeter. “Peak nitrate levels occur two to three hours after you eat or drink them,” he says. 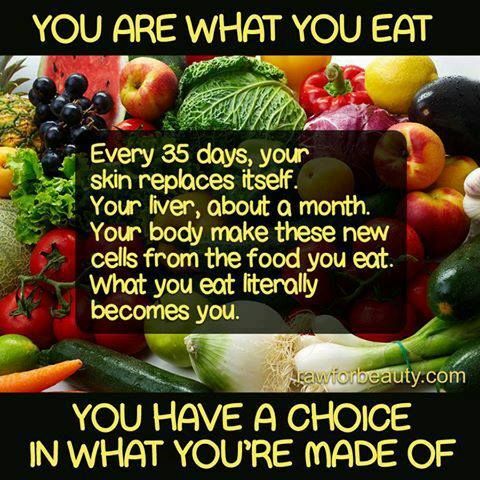 So time your intake accordingly if you want to crush your 5K. Beets are also rich in betalains, a class of potent antioxidants and anti-inflammatories that battle free radical-and inflammation-related chronic diseases like heart disease, obesity, and possibly cancer. Research suggests that betacyanin, the pigment that gives beets its pretty purple hue may help protect against everyday carcinogens. It has also shown promise against laboratory-grown breast cancer cells and is currently being investigated as a cancer-fighter. “One way to beat irregularity and constipation is by eating fiber-rich foods like beets,” says Leslie Bonci, RD, a sports nutritionist at Pittsburgh-based company Active Eating Advice. One cup of beets delivers about 4 grams of dietary fiber, mainly insoluble fiber, which helps reduce the risk of constipation, hemorrhoids, and diverticulitis. The betaine found in beets has also been shown to improve digestion. 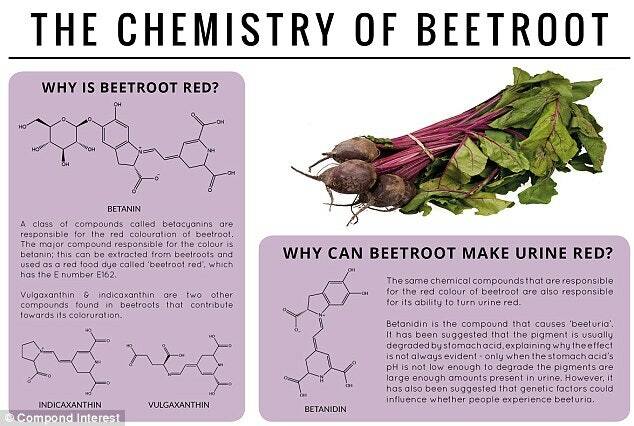 Just take note, your pee isn’t the only thing beets turn pink. Don’t be alarmed if you see crimson-colored stools 24 to 72 hours following a meal heavy in beets. Include veggies for breakfast! Try adding chopped mushrooms, tomatoes, spinach, or peppers to scrambled eggs or a breakfast wrap.